Ministry is a two-way street. It affects those to whom we minister, and it also changes the lives of those involved in the ministry. We have a number of retreats, ministries, seminars, mission trips, and conventions we use for the purpose of enriching your walk of faith and life's ministry. Disciples of Jesus make a difference in the world around them. At FCC, we take our charge to "equip the saints for works of service" seriously. Below is the list of courses and small groups we facilitate in order to equip, encourage, and empower the people of God to experience the love and truth of Christ, and to engage the world with the same. The Christian life is much like a journey, and we're here to help make your journey life-changing and impactful. These courses and groups are held on Sunday mornings at 9:30 am in our main building. Intersect is where your journey of faith meets ours -- a four week course that serves as your introduction to Faith Community Church, and what you can expect as we walk with Jesus together. In this course we explore the importance of church membership, our core beliefs, how we are structured and how you can be a part of what God is doing here, and we look at what you can expect moving forward. There is no membership commitment in going through this course. In fact, we typically suggest completing the Disciple's Road courses (Intersect, Outflow and Lifeline) before committing to membership. Group Publishing's Outflow is used to explain and explore our corporate ministry philosophy: be filled by God and pour out, naturally, into the lives of others by the way you live your life in Christ. This is a four week, discussion-driven small group that will transform your understanding of evangelism and missions -- the mission of the church. 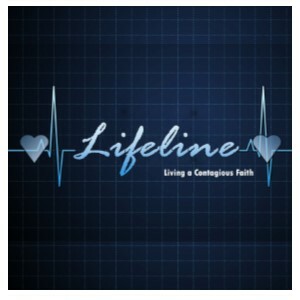 Our Lifeline course is all about how you connect with other people, and how God has uniquely gifted you to be a witness to his glory and goodness to those around you. This four week course covers the difference between evangelism and witnessing, how we connect with people, how we can deepen our relationships with others, and how to tell your story (testimony). Being a witness is essential to the Christian life and the mission of God. He has chosen you to be the Lifeline to those around you who need the hope and healing of the Gospel of Jesus Christ.